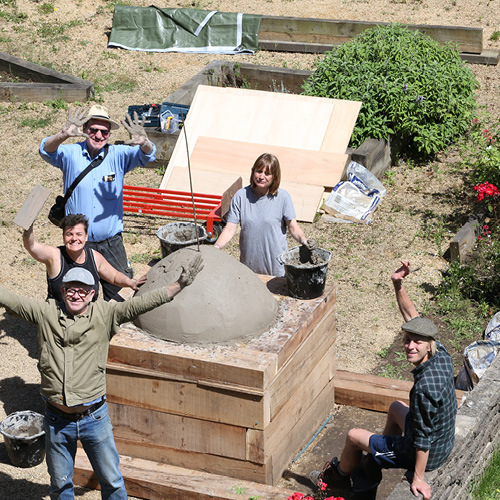 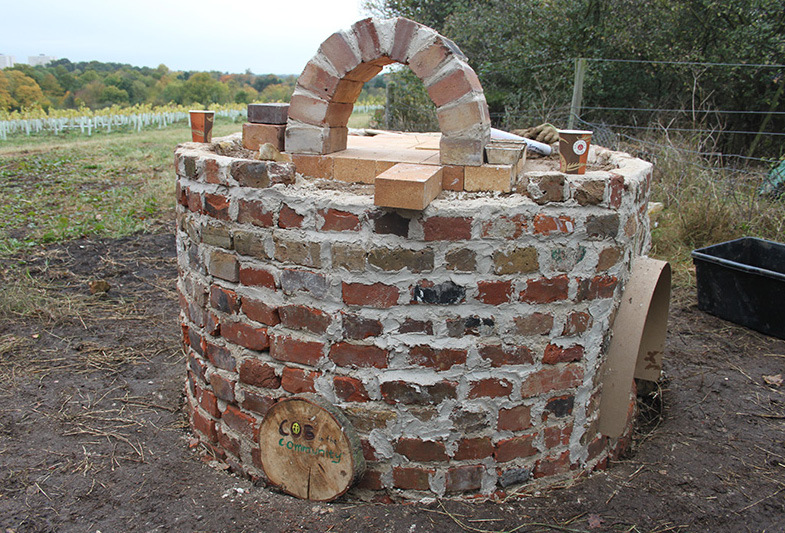 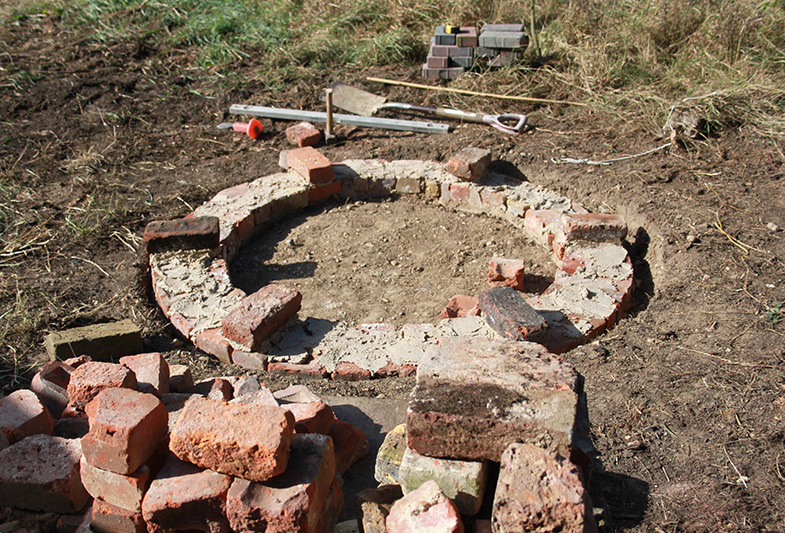 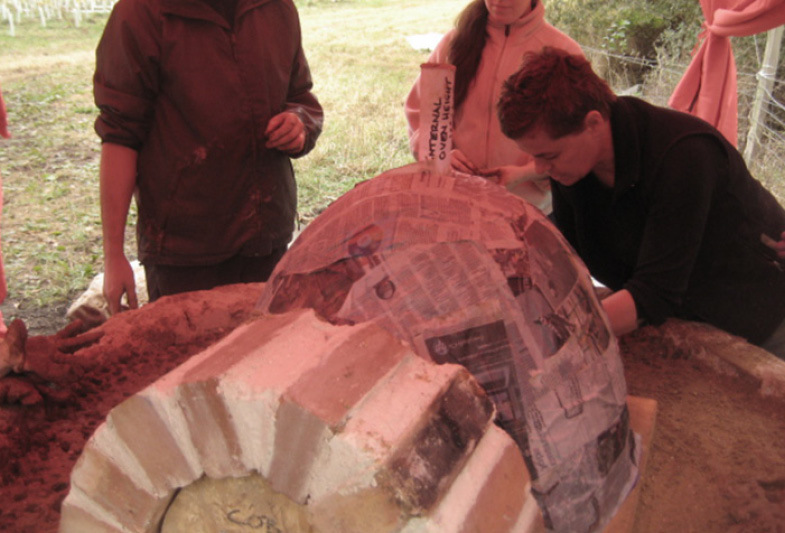 A community oven built using natural building materials over two days and with the involvement of orchard volunteers. 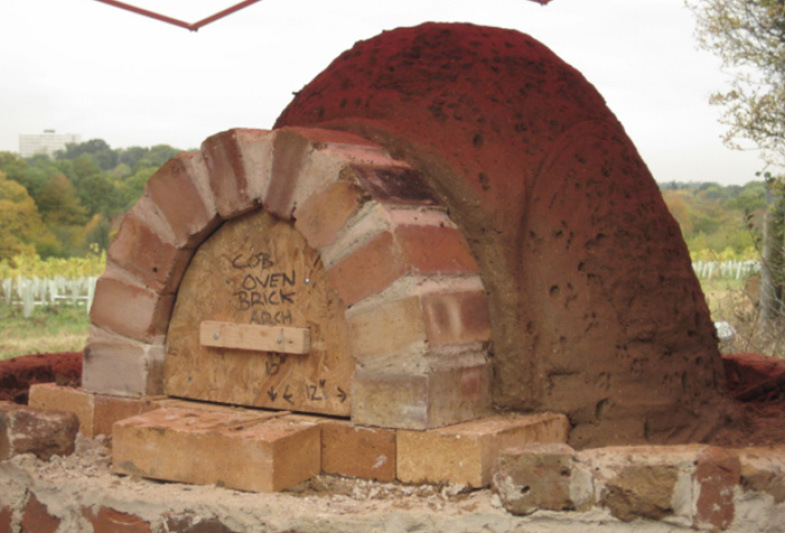 The oven was to be sited on their organic site and used for making food at their events. 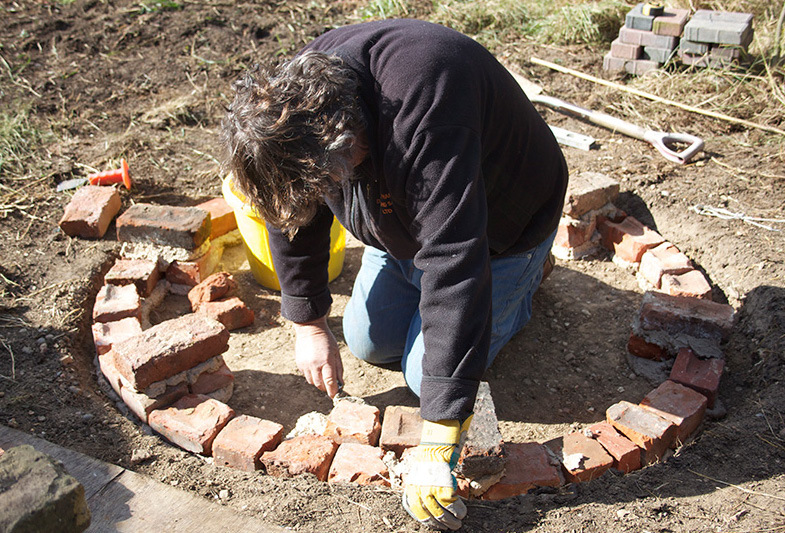 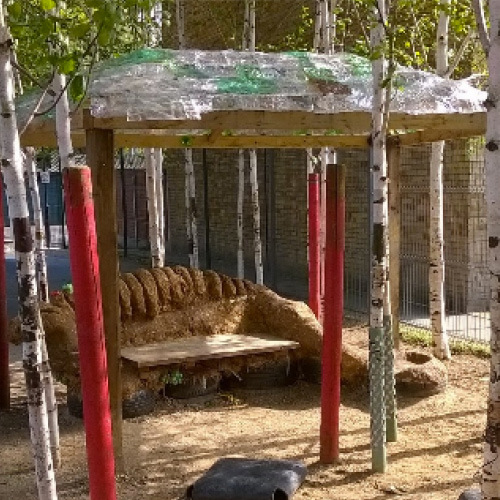 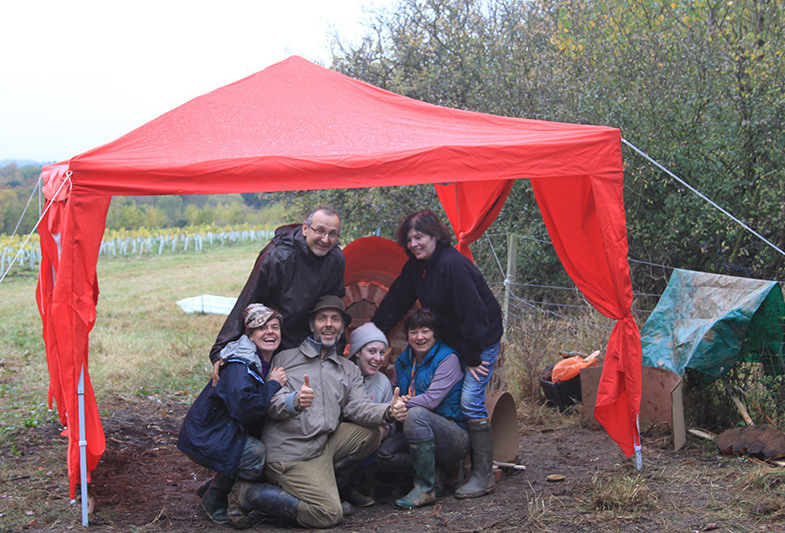 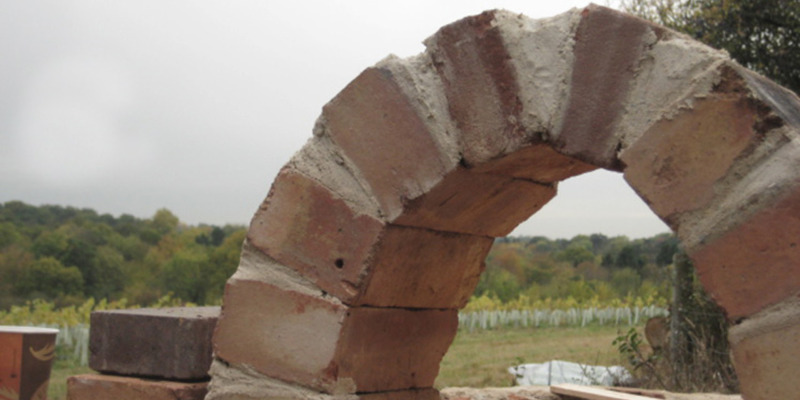 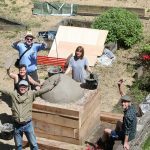 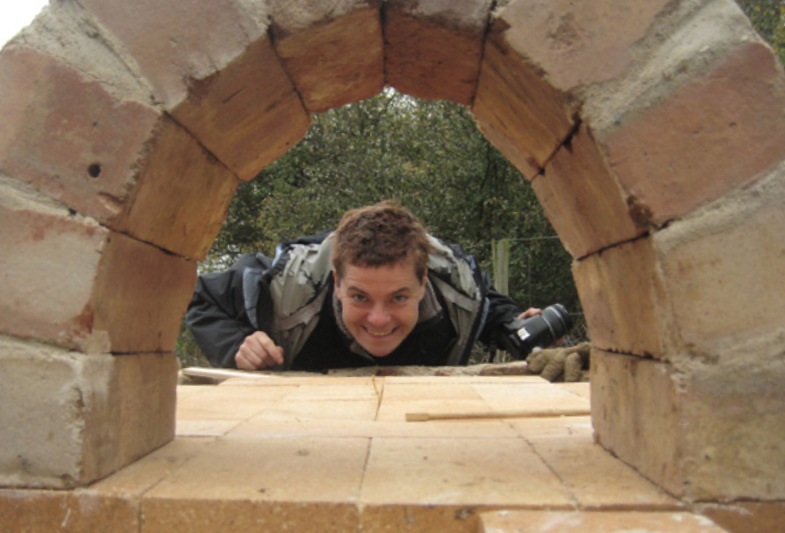 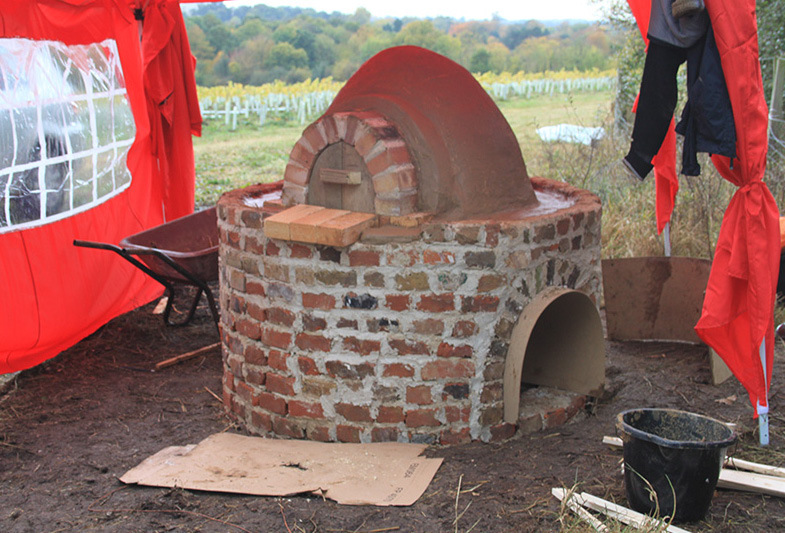 We met gardeners from Forty Hall Community Vineyard at a previous cob build (Meadow Orchard Project) and they approached us to build outdoor wood oven. 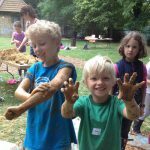 Soil samples were taken from the site and immediate vicinity but revealed high silt, low clay content when separation test. 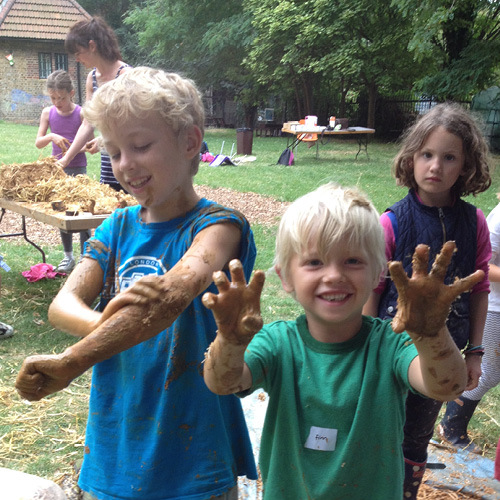 As excessive silt makes for a weak cob mix (because silt particles are too small to be of use as a structural aggregate) we looked elsewhere. 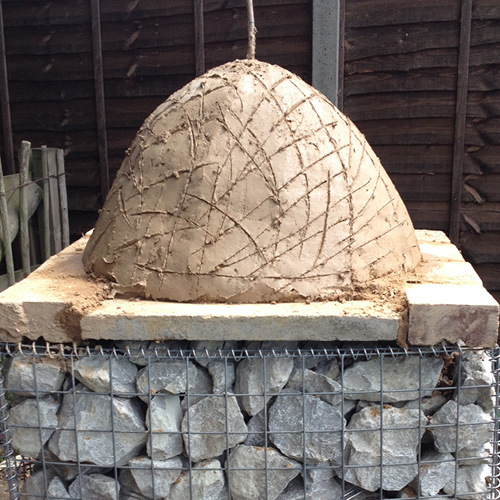 Samples taken from a site 5 miles away that revealed very high clay and this was used for the oven. 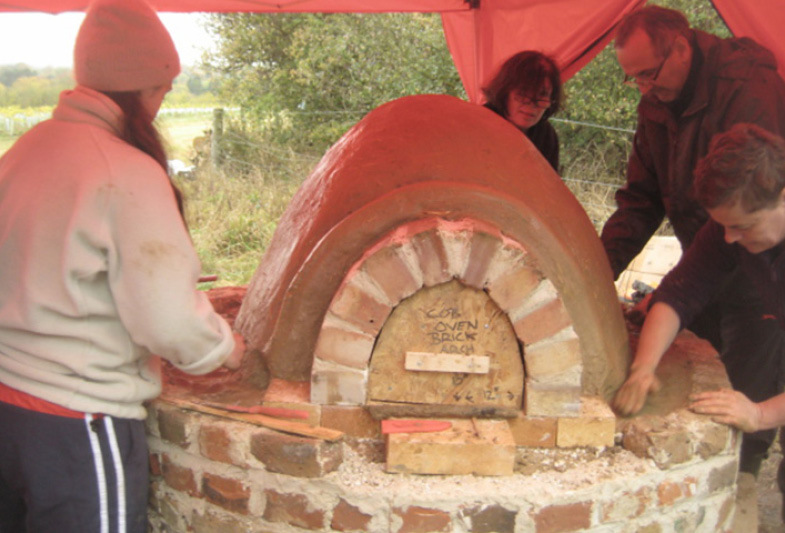 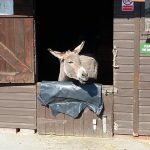 15 participants benefited from learning the core training provided by us and the oven will be used to encourage and feed vineyard staff and volunteers, its visitors on open days and help in towards fundraising activities of this charity (part of Capel Manor).